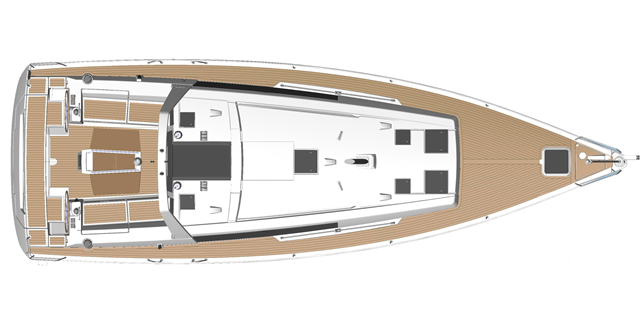 Intelligent use of space allows a range of options below deck, including two heads with a choice of two, three, or four cabins. The skilfully designed interior, in either contemporary light oak or traditional mahogany, is bright and maximizes storage space. An important characteristic of the latest generation of large Oceanis yachts, the 45° companionway connects the sizable cockpit with the boat’s spacious interior, contributing considerably to the ease of movement and lifestyle onboard. 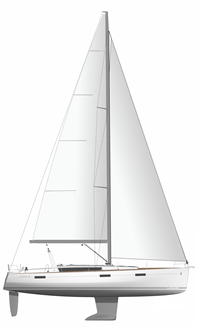 To optimize performance, a set of Performance Sails, combined with the German System that produced the ability to trim all the sails from the helm is a desired option.